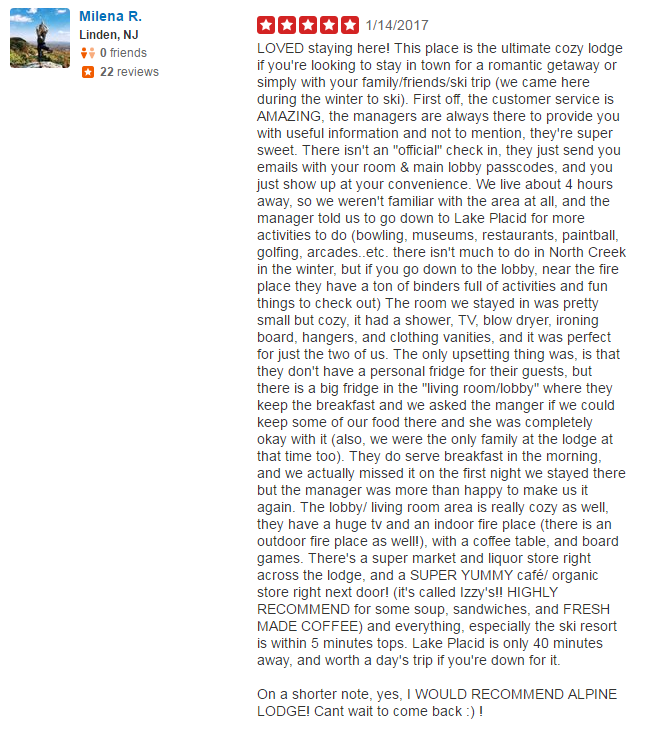 Read what our recent guests have to say about their stay at The Alpine Lodge! 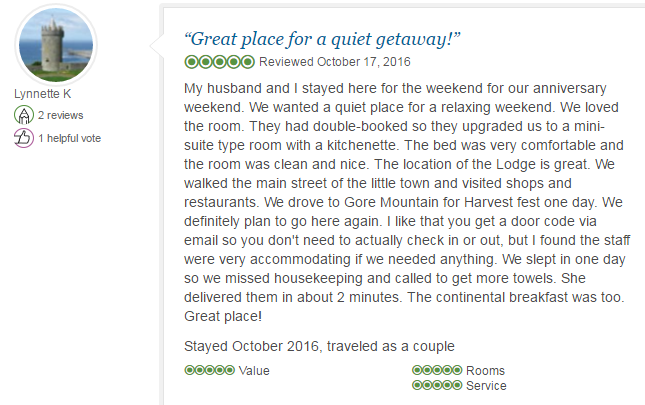 The Alpine Lodge in the Adirondacks offers cozy and comfortable Adirondack styled rooms just minutes away from Gore Mountain. 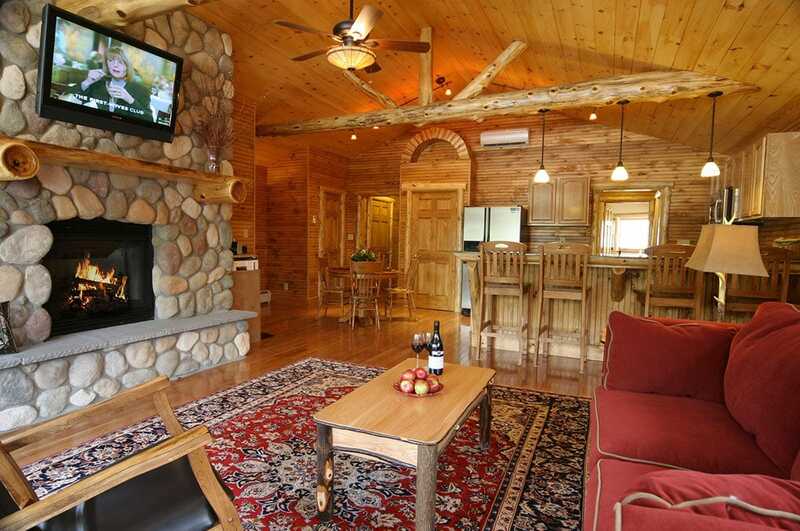 Our Adirondack themed guests rooms start at $159 with some offering cozy gas wood stoves and private Jacuzzis. Bring the family for a week-long ski getaway, or just the two of you for a romantic weekend getaway in the Adirondacks. View our lodging and packages that we offer, then contact us at (518) 251-2451 to book your stay today!